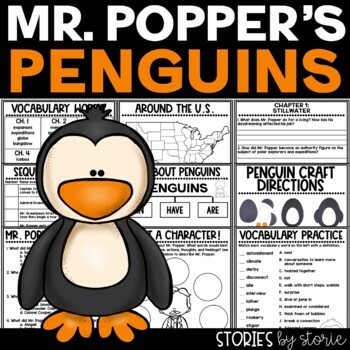 Mr. Popper's Penguins is written for students reading at a 3rd or 4th grade reading level. 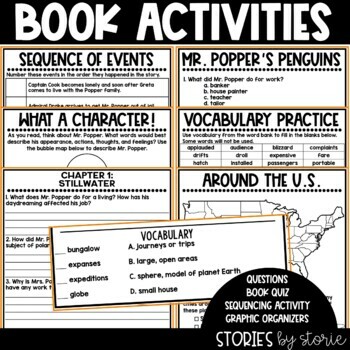 It can be a great read aloud for younger students, too! 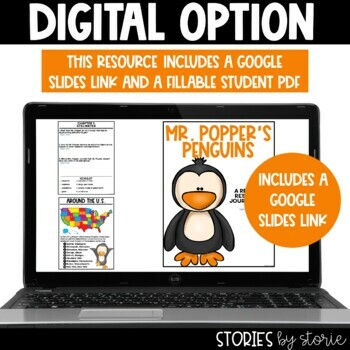 This pack contains comprehension questions, vocabulary practice, graphic organizers, and a penguin craft to go with the story. Book Summary: It is hard enough for Mr. Popper to support himself, Mrs. Popper, Bill and Janie Popper. The addition of twelve penguins to the family makes it almost impossible to make ends meet. Now Mr. Popper has sixteen mouths to feed! But Mr. Popper has a splendid idea – the talented penguins would be a sensation on stage!